Trial designs and outcomes development, with emphasis on non-cognitive domains (ADL and behavior). Wu L, Rosa-Neto P, Hsiung GYR, Sadovnick AD, Masellis M, Black SE, Jia J, Gauthier S. Early-onset Familial Alzheimer’s Disease (EOFAD). Canadian Journal of Neurological Sciences, 39, 436-445, 2012. Gauthier S, Patterson C, Chertkow H, Gordon M, Herrmann N, Rockwood K, Rosa-Neto P, Soucy JP on behalf of the CCCDTD4 participants. Recommendations of the 4th Canadian Consensus Conference on the Diagnosis and Treatment of Dementia (CCCDTD4). Canadian Journal of Geriatrics, 15, 120-126, 2012. Gauthier S, Molinuevo J. Benefits of combination treatment in Alzheimer’s disease. Alzheimer’s & Dementia, 9, 326-331, 2013. Dubois B, Gauthier S, Cummings J. The utility of the new research criteria for Alzheimer’s disease. International Psychogeriatrics, 25, 174-184, 2013. Gauthier S, Leuzy A, Racine E, Rosa-Neto P. Diagnosis and management of Alzheimer’s disease: past, present and future ethical issues. Progress in Neurobiology, 110, 102-113, 2013. Rowley J, Fonov V, Wu O, eskildsen S, Scoemaker D, Wu L, Mohades S, Shin M, Sziklas V, Shmuel A, Dagher A, Gauthier S, Rosa-Neto P and the Alzheimer’s Disease Neuroimaging Initiative. White matter abnormalities and structural hippocampal disconnections in AD, naMCI and aMCI. PloS ONE, 8, e74776, 2013. Gauthier S, Leuzy A, Rosa-Neto P. How can we improve transfer of outcomes from randomized clinical trials to clinical practice with disease-modifying drugs in Alzheimer’s disease? Neurodegenerative Diseases, 13, 197-199, 2014. Dubois B, Feldman HH, Jacova C, Hampel H, Moniluevo JL, Blennow K, DeKosky ST, Gauthier S, Selkoe D, Cappa S, Crutch S, Frisoni GB, Fox NC, Galasko D, Habert MO, Jicha GA, Nordberd A, Pasquier F, Rabinovivi G, Robert P, Rowe C, Salloway S, de Souza LC, Vellas B, Visser PJ, Schneider L, Stern Y, Scheltens P, Cummings JL. Improving diagnostic criteria for Alzheimer’s disease – an update from the International Working Group. Lancet Neurology, 13, 614-629, 2014. Wu L, Soder RB, Shoemaker D, Carbonell F, Sziklas V, Rowley J, Mohades S, Fonov V, Bellec P, Dagher A, Sziklas V, Schmuel A, Jia J, Gauthier S, Rosa-Neto P. Resting state executive control network adaptations in amnestic mild cognitive impairment. Journal of Alzheimer Disease, 40, 993-1004, 2014.
Zimmer ER, Leuzy A, Bhat V, Gauthier S, Rosa-Neto P. In vivo tracking of tau pathology using PET molecular imaging in small animals. Translational Neurodegeneration, 3, 6, 2014. Hye A, Riddoch-Contreras J, Baird AL, Ashton NJ, Bazenet C, Leung R, Westman E, Simmons A, Dobson R, Sattlecker M, Lupton M, Lunnon K, Keohane A, Ward M, Pike I, Zucht HD, Pepin D, Zheng W, Tunnicliffe A, Richardson J, Gauthier S, Soininen H, Kloszewska I, Mecocci P, Tsoalki M, Vellas B, Lovestone S. Plasma proteins predict conversion to dementia from prodromal disease. Alzheimer’s & Dementia, 10, 799-807, 2014. Vellas B, Sampaio C, Bateman R, Boxer A, Carrillo MC, Cummings J, Dubois B, Hampel H, Katz R, Khachaturian Z, Gauthier S, Johnson K, Karlawish J, Mintun M, Petersen R, Rafii M, Robert P, Schneider LS, Siemers E, Sperling R, Tariot P, Touchon J, Weiner M, Andrieu S, Aisen P and Task Force Members. E.U./U.S. Task Force on Alzheimer’s Trial populations. Journal of Prevention of Alzheimer’s Disease, 1, 110-116, 2014. Cummings J, Mintzer J, Brodaty H, Sano M, Banerjee S, Cohn-Mansfield J, Devanand DP, Gauthier S, Howard R, Lanctot K, Lyketsos K, Peskind E, Porsteinsson A, Reich E, Ryan L, Simpaio C, Schneider L, Steffens D, Thies W, Wortman M, Zhong K for the IPA Agitation Definition Working Group. Agitation in cognitive disorders: IPA provisional consensus clinical and research definition. International Psychogeriatrics, 27, 7-17, 2015. Medical studies at Université de Montréal, Neurology training at McGill University, Research Fellowship at Prof. Theodore L. Sourkes laboratory, Allen Memorial Institute, Montreal. Clinical investigator and staff neurologist at the Montreal Neurological Hospital and Institute (1976-1986), Director of the McGill Centre for Studies in Aging (1886-1996), Senior Scientist of the CIHR-Rx&D program (1997-2007).  Currently Professor in the Departments of Neurology & Neurosurgery, Psychiatry, Medicine, at McGill University, and Director of the Alzheimer Disease and Related Disorders Research Unit of the McGill Center for Studies in Aging, Douglas Hospital. Contributions to research include design and implementation of randomized clinical trials in order to establish the safety and efficacy of cholinesterase inhibitors, muscarinic agonists, and agents possibly modifying progression for Alzheimer’s disease and vascular dementia. Special interests include consensus approach to the management of dementia in different stages, the ethics of research involving persons with dementia, and primary prevention strategies against cognitive decline and dementia. Pascoal TA, Shin M, Kang MS, Chamoun M, Chartrand D, Mathotaarachchi S, et al. In vivo quantification of neurofibrillary tangles with [F]MK-6240. Alzheimers Res Ther. 2018;10(1):74. Benedet AL, Yu L, Labbe A, Mathotaarachchi S, Pascoal TA, Shin M, et al. variant mitigates Alzheimer disease pathophysiology in vivo and postmortem. Neurol Genet. 2018;4(1):e216. Pascoal TA, Mathotaarachchi S, Shin M, Park AY, Mohades S, Benedet AL, et al. Amyloid and tau signatures of brain metabolic decline in preclinical Alzheimer's disease. Eur J Nucl Med Mol Imaging. 2018;45(6):1021-1030. Schilling LP, Pascoal TA, Zimmer ER, Mathotaarachchi S, Shin M, Rieder CR, et al. Regional Amyloid-β Load and White Matter Abnormalities Contribute to Hypometabolism in Alzheimer's Dementia. Mol Neurobiol. 2018. Gauthier S, Herrmann N, Rosa-Neto P. Optimal use of cholinergic drugs in Alzheimer's disease. Brain. 2018. Schoemaker D, Buss C, Head K, Sandman CA, Davis EP, M Chakravarty M, et al. Corrigendum to "Hippocampus and amygdala volumes from magnetic resonance images in children: Assessing accuracy of FreeSurfer and FSL against manual segmentation"[NeuroImage 129 (2016) 1-14]. Neuroimage. 2018;173:1-2. Mortby ME, Black SE, Gauthier S, Miller D, Porsteinsson A, Smith EE, et al. Dementia clinical trial implications of mild behavioral impairment. Int Psychogeriatr. 2018;30(2):171-175. Therriault J, Ng KP, Pascoal TA, Mathotaarachchi S, Kang MS, Struyfs H, et al. Anosognosia predicts default mode network hypometabolism and clinical progression to dementia. Neurology. 2018;90(11):e932-e939. Gauthier S, Ng KP, Pascoal TA, Zhang H, Rosa-Neto P. Targeting Alzheimer's Disease at the Right Time and the Right Place: Validation of a Personalized Approach to Diagnosis and Treatment. J Alzheimers Dis. 2018. Villeneuve S, Vogel JW, Gonneaud J, Binette AP, Rosa-Neto P, Gauthier S, et al. Proximity to Parental Symptom Onset and Amyloid-β Burden in Sporadic Alzheimer Disease. JAMA Neurol. 2018. Li X, Ba M, Ng KP, Mathotaarachchi S, Pascoal TA, Rosa-Neto P, et al. Characterizing biomarker features of cognitively normal individuals with ventriculomegaly. Alzheimers Dement (Amst). 2018;10:12-21. Sinyavskaya L, Gauthier S, Renoux C, Dell'Aniello S, Suissa S, Brassard P. Comparative effect of statins on the risk of incident Alzheimer disease. Neurology. 2018;90(3):e179-e187. Wilcock GK, Gauthier S, Frisoni GB, Jia J, Hardlund JH, Moebius HJ, et al. Potential of Low Dose Leuco-Methylthioninium Bis(Hydromethanesulphonate) (LMTM) Monotherapy for Treatment of Mild Alzheimer's Disease: Cohort Analysis as Modified Primary Outcome in a Phase III Clinical Trial. J Alzheimers Dis. 2018;61(1):435-457. Gauthier S, Ng KP, Pascoal TA, Mathotaarachchi S, Chung C-, Benedetti AL, et al. Author response: Neuropsychiatric symptoms predict hypometabolism in preclinical Alzheimer disease. Neurology. 2017;89(18):1931. Gauthier S, Robillard J, de Champlain J. Progress in transnational scientific and ethics review: Commentary on the proposal for a single North American review board for research on dementia. Alzheimers Dement. 2017. Schoemaker D, Poirier J, D Collins L, Gauthier S, Pruessner JC. Familiarity deficits in cognitively normal aging individuals with APOE ε4: A follow-up investigation of medial temporal lobe structural correlates. Alzheimers Dement (Amst). 2017;9:21-24. Ba M, Li X, Ng KP, Pascoal TA, Mathotaarachchi S, Rosa-Neto P, et al. The prevalence and biomarkers' characteristic of rapidly progressive Alzheimer's disease from the Alzheimer's Disease Neuroimaging Initiative database. Alzheimers Dement (N Y). 2017;3(1):107-113. Parent MJ, Zimmer ER, Shin M, Kang MS, Fonov VS, Mathieu A, et al. Multimodal Imaging in Rat Model Recapitulates Alzheimer's Disease Biomarkers Abnormalities. J Neurosci. 2017;37(50):12263-12271. Mathotaarachchi S, Pascoal TA, Shin M, Benedet AL, Kang MS, Beaudry T, et al. Identifying incipient dementia individuals using machine learning and amyloid imaging. Neurobiol Aging. 2017;59:80-90. Savaskan E, Mueller H, Hoerr R, von Gunten A, Gauthier S. Treatment effects of Ginkgo biloba extract EGb 761® on the spectrum of behavioral and psychological symptoms of dementia: meta-analysis of randomized controlled trials. Int Psychogeriatr. 2017:1-9. Müller WE, Eckert A, Eckert GP, Fink H, Friedland K, Gauthier S, et al. Therapeutic efficacy of the Ginkgo special extract EGb761(®) within the framework of the mitochondrial cascade hypothesis of Alzheimer's disease. World J Biol Psychiatry. 2017:1-17. Brayet P, Petit D, Baril A-, Gosselin N, Gagnon J-, Soucy J-, et al. Brain perfusion during rapid-eye-movement sleep successfully identifies amnestic mild cognitive impairment. Sleep Med. 2017;34:134-140. Lajoie I, Nugent S, Debacker C, Dyson K, Tancredi FB, Badhwar AP, et al. Application of calibrated fMRI in Alzheimer's disease. Neuroimage Clin. 2017;15:348-358. Jia J, Gauthier S, Pallotta S, Ji Y, Wei W, Xiao S, et al. Consensus-based recommendations for the management of rapid cognitive decline due to Alzheimer's disease. Alzheimers Dement. 2017;13(5):592-597. Schoemaker D, Mascret C, D Collins L, Yu E, Gauthier S, Pruessner JC. Recollection and familiarity in aging individuals: Gaining insight into relationships with medial temporal lobe structural integrity. Hippocampus. 2017;27(6):692-701.